AH, HI!! Happy August! Notice anything different around here? And by anything I mean everything! Welcome to a much happier, cleaner, cuter space! I'm still working on fixing up and adding a few things, but so far I am really digging this new layout. All thanks to the wonderful work of Chaitra, who is super sweet! With a new blog layout comes a new blogging plan. I've been working a lot on figuring out a more specific niche and purpose for my blog. If you're a blogger yourself, chances are this is topic has been engraved in your head too. It's kind of the cause for many headaches, but I've really learned to appreciate the importance of it! Before I jump into my goals for August-aka the month that (in my head) kicks off the BEST SEASON EVER...I thought it would be fun to go over last month's highlights! Andrew and I took a little trip to Palm Springs in July. 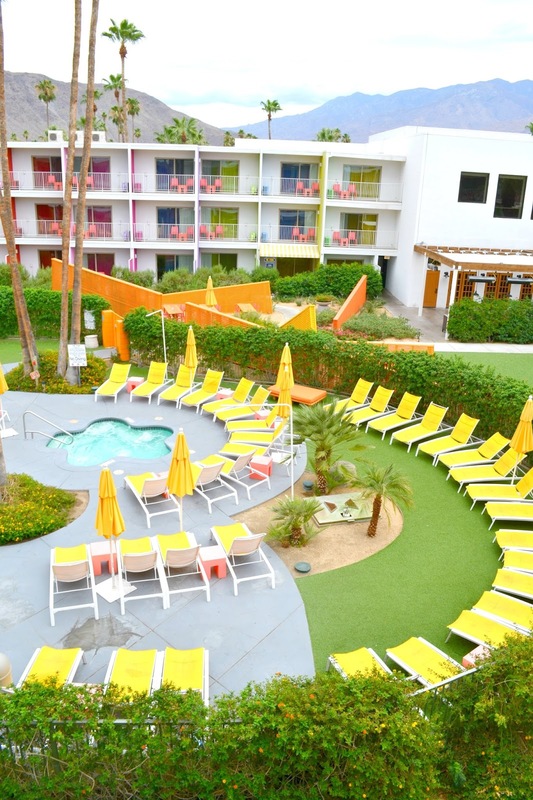 We stayed at the beautiful Saguaro Hotel, which is a fun hotel full of color, life, and relaxation! We're already planning a trip back because we seriously loved it so much! We also took a (crazy long) detour to Salvation Mountain, which is the most beautiful piece of art I've ever seen! So much color and love! To round off all things Palm Springs, I shared a few photos from other things we did that, in my opinion, are must do's if you're ever in Palm Springs! 1. Amp up my wardrobe. This feels like a funny one to share, but I recently got a promotion at work (hooray! ), and now I spend most of my time in an office. For the past 3 years, I've worked with children, where I had no coworkers and basically had to dress as comfy and as simple as possible. Now that I have actual coworkers and don't have to work with the fear of getting random stuff all over my clothes, I really want to upgrade my wardrobe a bit. I used to work at a really fancy retail store before this job, and I was required to dress really nice every day. I kind of missed that, so I'm excited to focus on my wardrobe and appearance a bit more this month! Where are your favorite places to shop? I admittedly feel a little lost with this, haha. 2. Go on one hike a week. 3. Purge more crap. So much stuff we don't need. 4. Spend time with friends. I feel like July was super crazy, so I want to focus on spending time with my friends this month and being more intentional with my friendships. 5. Be kinder to Andrew. I read this post I randomly found on Pinterest the other night and something mentioned really resonated with me..."selfless love heals brokenness". Wowza. I want to be as kind and gentle as possible towards my husband on a daily basis, because truthfully I don't remember to make that a daily habit. What are some of your goals for August? I'd love to hear them! Aww amazing last goal <3 Something to keep in mind forever! Thanks Ana! And yes, the last one needs to become a forever habit! Great pics, and great goals...especially that last one! Awesome pics.... You also have great goals... I have a suggestion for your purging.. Immediately put a box in the corner or out of the way. Day by day as you see items you no longer need, simply toss them into the box. By the end of August, the box will be full without you ever making a set time to "purge." Good luck..
That is seriously SUCH a great idea! Thank you so much for sharing that with me, I'll have to put a box in our room asap! love your layout, so fun and bright. 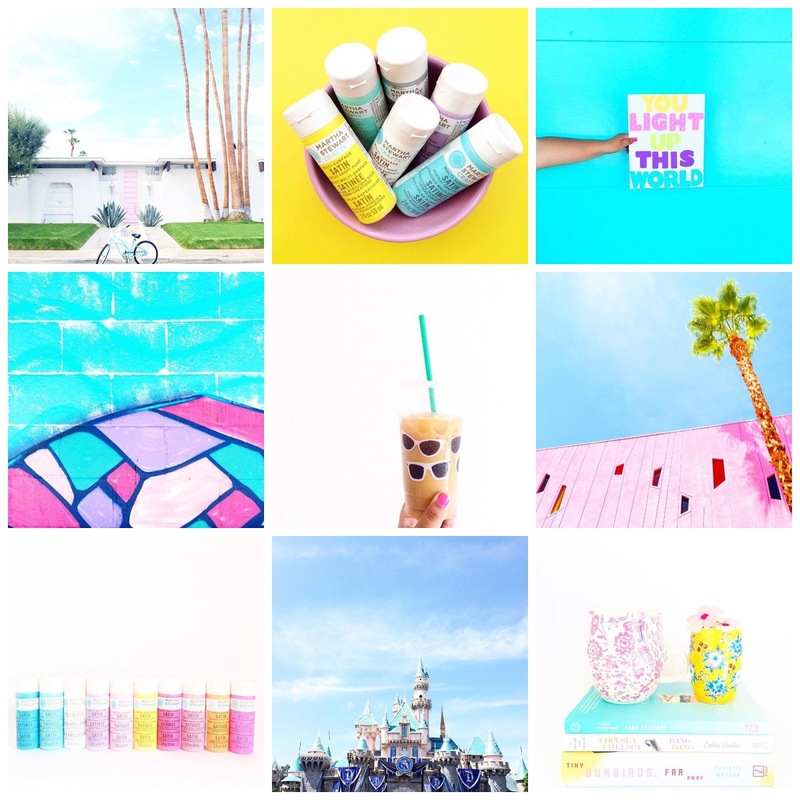 I love how bright and fun your blog is! I think you can really see how fun your personality is. Good luck on the blog going forward! I just came across your blog and I love love love it! I also love that you post your goals publicly- you're far more likely to follow up if you have accountability so you're pretty much setting yourself up for success! Also, I love your pictures and I'm in the market for a new camera- what camera do you use? Love it, hate it?? I love your clean and gorgeous blog and always swoon over your Instagram photos. Keep it up! Yay I'm glad im not the only one that makes blog posts for my goals! I feel like no one else cares about my goals, but I genuinely like reading others goals, so maybe people DO care! That's so sweet, thanks Mandi!! Good luck with your goal of doing yoga more often! Also-I'm going to be in Arizona early next month. Crossing my fingers it's not crazy hot when I go, but I hear it's still in the 100's. AH! 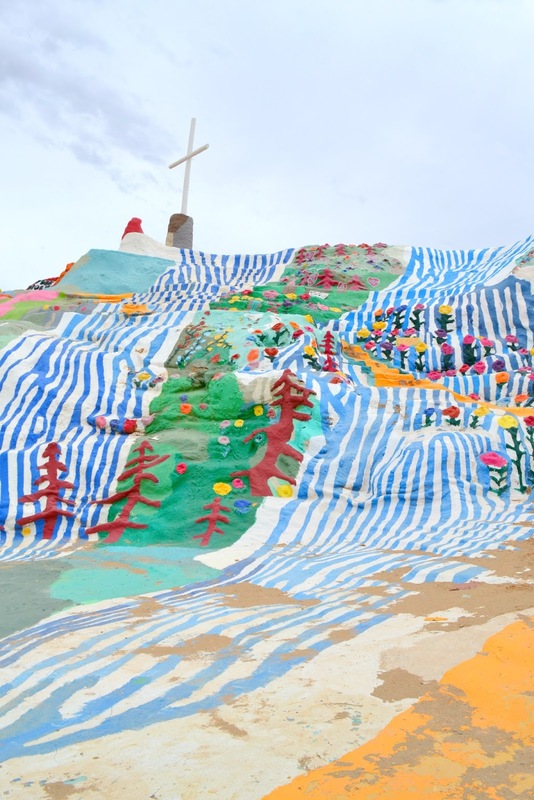 I need to go to Salvation Mountain.. that looks amazing! I'm loving your blog, and the layout its beautiful!!! I need to start setting up some goals as well. Thanks for sharing! Love those pictures! So colorful... Good luck with your goals. I love the new design especially the brightness! I love updating wardrobes. I wish I had endless funds to do so. 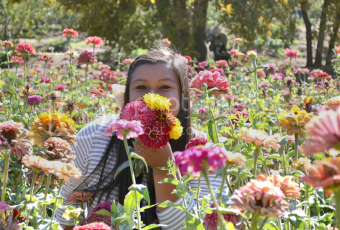 Great pictures from your month! I love all the bright colors. I need to work on getting rid of items too....I'm kind of a pack-rat and it drives my husband crazy. I'm slowly getting rid of things we don't use. =) thanks for sharing.